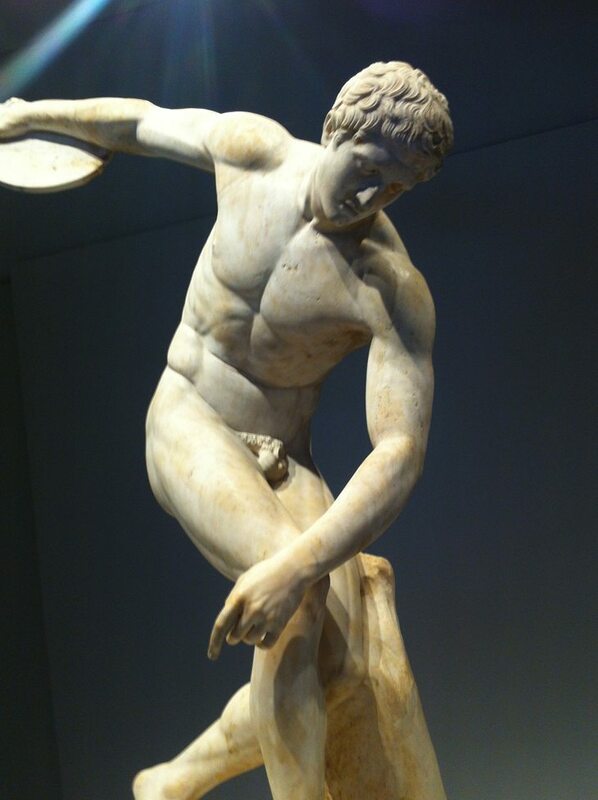 The Discobolus, or Discus Thrower is a sculpture by the artist Myron c450 BC who revels in revealing the athletic human body as a single dynamic plane. 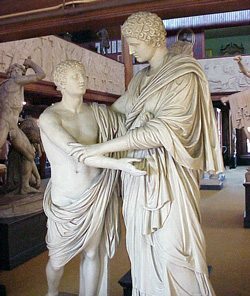 one of the most recognized images from antiquity. Currently on show at the British Museum in the exhibition Defining Beauty, its stylised movement is captured precisely; the body tense and poised at that moment of throwing the discus to victory. 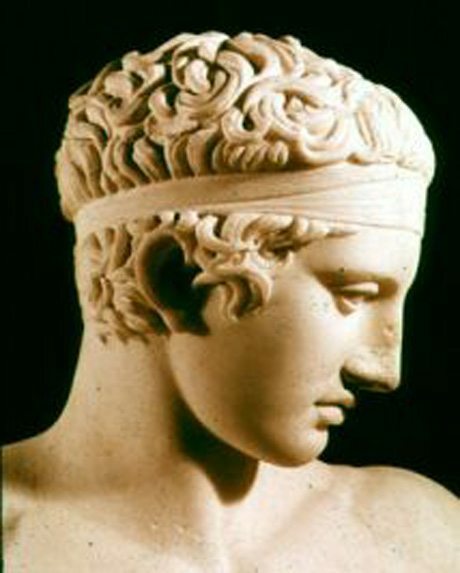 The exhibition examines Greek interest in human character as well as sexual and social identity. During this exhibition you can discover the ‘naked truth’ behind Greek Art through a live 30 minute broadcast sponsored by Julius Baer and popularly presented by historian Dan Snow. You can join in with his journey around the exhibition, getting up close to iconic white marble statues, exquisite works in terracotta and beautiful bronzes and fascinating vases. As the tour progresses, viewers will be able to submit their questions via Twitter and the Periscope app. The case for visual aesthetic beauty was firmly established during the fifth century before Christ at Athens. 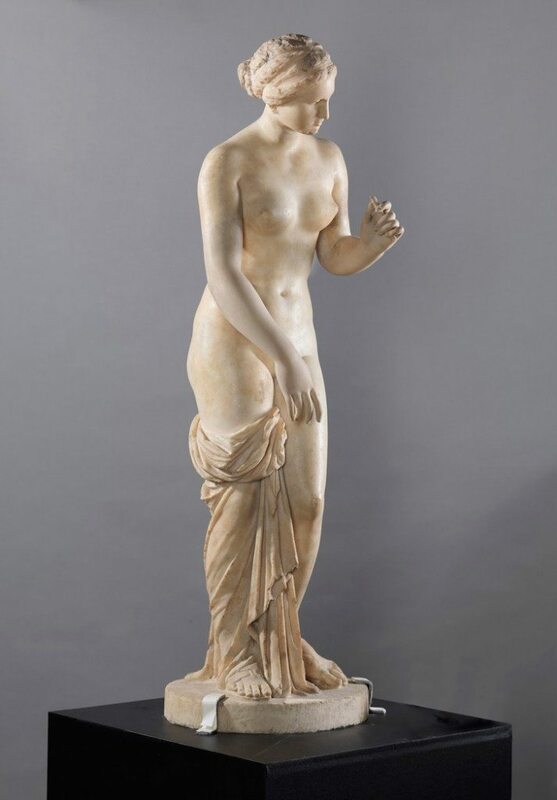 The statue of Aphrodite the Goddess of Love was originally commissioned by the citizens of Knidos in southwest Turkey around 360 BC and convey sto us why she was a popular ‘tourist’ attraction in her own day. Restraint in design and style became inextricably interwoven into what we now today recognize as a classical tradition or an acknowledged standard of excellence. Questions for a live Q&A will be able to be submitted via the British Museum’s Twitter page. 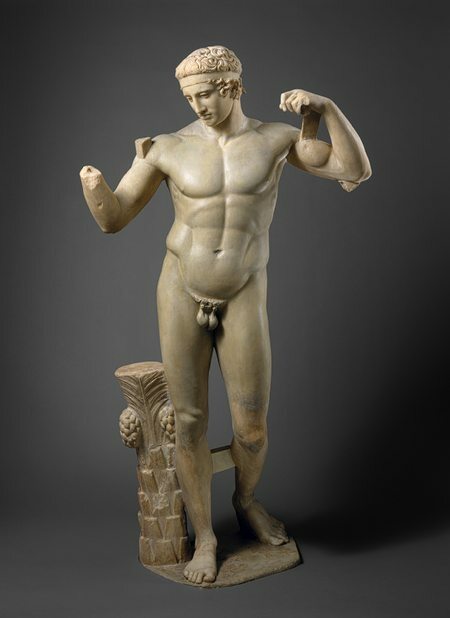 Defining beauty: the body in ancient Greek art will be on show until 5 July 2015 in the Sainsbury Exhibitions Gallery (Room 30), British Museum, Great Russell Street, London WC1B 3DG. The broadcast can be watched live within the Periscope app 6.30pm on Thursday 28 May and a replay version will be available on the app for 24 hours afterwards. The live link will be shared from the BM’s Twitter feed (@britishmuseum #DefiningBeauty), along with a series of exclusive content. A recording will be available to view the next day on the British Museum’s Facebook page and Youtube channel, as well the British Museum’s webpage. “What’s a Weekend” – Is a 7Day Working Week a Fait Accompli? The paradigm shift we are experiencing on such a massive scale only happens every 100 years or so. 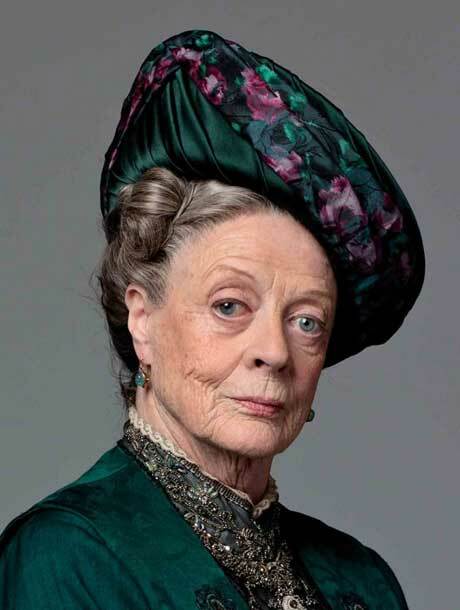 And, as history reveals, it is only those who bend with the strength of a bamboo rod in the breeze and then spring back upright, that survive.